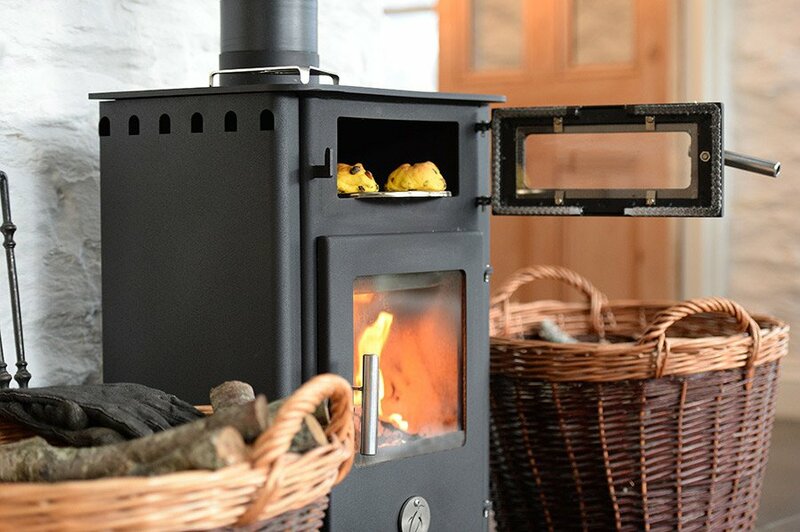 Our stoves all come with a standard one year guarantee but if you register your stove we will extend this to a FREE 7 year extended guarantee (5 years for the Chilli Billie). control so are not included in the guarantee. You are advised to take these matters up with your approved stove supplier or accredited installer. Those items that are considered service items. These include; door seals, vermiculite bricks, door glass, ash pan, operating tools and gloves. Should any of the components arrive in a damaged state, they will be replaced provided a written claim is made within 5 days. The whole of the guarantee is invalid if there is any unauthorised modification of the appliance or if any part of the stove assembly, installation, operation and maintenance does not comply with the instructions supplied and with all building regulations in force at the time of purchase. The guarantee is invalid if you do not purchase your stove from an approved Chilli Penguin stockist. From September 2017 your Chilli Penguin stockist will be able to register your stove for the extended guarantee. (Prior to this date you will need the serial number and proof of purchase). FREE 5 year extended guarantee. The Chilli Billie guarantee covers the items listed below plus the construction and workmanship if purchased from one of our approved stockists. The assembly, installation and operation of the stove do not come under our direct control so are not included in the guarantee. You are advised to take these matters up with your stove supplier or accredited installer. Those items that are considered service items. These include; door seals, vermiculite bricks, door glass, ash pan, operating tool and gloves. The guarantee is invalid if there is any unauthorised modification of the appliance or if any part of the stove assembly, installation, operation and maintenance does not comply with the instructions supplied and with all building regulations in force at the time of purchase. From September 2017 your chilli penguin stockist will be able to register your chilli billie for the extended guarantee. (Prior to this date you will need the serial number and proof of purchase).